Top Ten Tips in 2014! 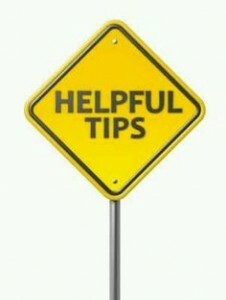 Continue with this tip to finish your task…. Civil 3D drawings can often times become quite large and data intensive. Any increase in performance of handling and displaying this data is a welcome sight. One major slow-down in performance can be regeneration time when switching between Layout and Model tabs. With the focus in the AccuDraw Dialog box there are some useful keys for changing the active snap mode. In the entry fields (X,Y,Z) for AccuDraw you can get previous entered values with Page Up/Page Down. This can be a time saver for retyping those long bearings. 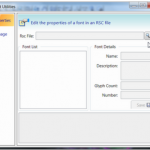 This is the new dialog box that opens to allow resource file creation or modification. When you create AutoCAD Solids, the program also creates shapes and links that match the way the corridor is constructed. AutoCAD solids can be used to graphically represent the mass of a subassembly shape and can be used to extract mass properties, such as volume. Solids are also more generally accepted by other solid modeling applications. Solids can also be used for rendering in other visualization applications. 1. Open a corridor file. How do you complete this tip? 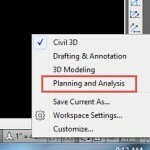 I am often asked, “Where do you get 3D MicroStation Cells and other 3D content?” There are a number of free and pay for websites that I usually use but I would first recommend downloading the Civil Content for Visualization package from Bentley SELECTservices downloads under Enhancements and Updates. This content has a number of useful render ready 3D models to help you visualize your Civil projects. Check out some content examples…. 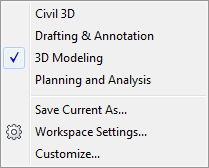 1) Create your 3D solid of the part within the 3D Modeling workspace in Civil 3D. The commands and functions within 3D Modeling are very intuitive so becoming familiar enough with them to create piping parts should not take a great deal of time, but there will be some learning required. Autodesk Help is your friend for this. Placing elements in MicroStation is usually done one of two ways: absolute coordinates or relative to an existing point. 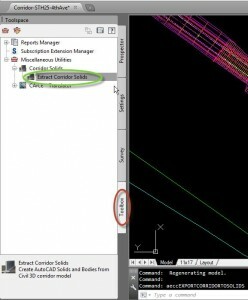 Workflows for placing those elements to absolute coordinates can be done one of two ways: using the Key-in Browser dialog or using AccuDraw’s Data Point Key-in. 3. Hit the Enter key on the keyboard or the Run icon from the key-in browser. The element will be placed at the keyed in coordinate value.